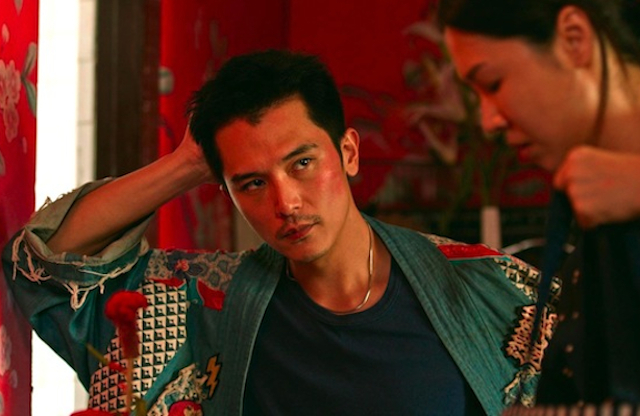 CHICAGO – Season Seven of Chicago’s Asian Pop-Up Cinema (APUC) continues on Thursday, November 8th, 2018, with “Dear Ex,” a story of duplicity and acceptance. The Taiwanese film will make its North American premiere at APUC, and includes an appearance by co-director Hsu Chih-yen. The film will screen at the AMC River East 21 in Chicago, for details and tickets click here. The multiple award-winning film involves the secret life of a husband and father. When her husband dies, a woman and her son discover that the beneficiary of his life insurance policy is actually his male lover. Understandably, the woman reacts with anger and the son with confusion. Gradually, they begin to close in on the man, discovering the life their late husband and father had hidden from them. Triumphant at the 2018 Taipei Film Awards, “Dear Ex” was awarded best narrative feature, best actress and best actor. Co-directors Mag Hsu and Hsu Chih-yen also won the Press Award for their vision of Taipei from a different perspective. The Golden Horse Awards celebrates Chinese language cinema, and are among the most prestigious and time-honored film awards in the world. On October 1st of this year, the 55th Golden Horse Awards announced the nominations. “Dear Ex” received eight nominations for the Best Feature Film, Best Leading Actor, Best Leading Actress, Best New Director, Best New Performer, Best Original Screenplay, Best Film Editing, and Best Original Film Song. Season Seven of APUC – curated by founder and veteran film programmer Sophia Wong Boccio – runs through November 14th, 2018, and will highlight films from South Korea, the Philippines, China, Thailand, India, Hong Kong, Japan, Tibet, Vietnam and Taiwan. The main feature film presentations will occur at the AMC River East 21 in downtown Chicago, with other various locations for special events, in addition to a number of free screenings. Season Seven of the Asian Pop-Up Cinema continues with “Dear Ex.” The November 8th, 2018, screening is at 7pm at the AMC River East 21, 322 East Illinois Street, Chicago. Co-director Hsu Chih-yen will make an appearance on behalf of the film. For a complete overview of Chicago’s Asian Pop-Up Cinema, click here.